2017 In A Sentence: The Warriors slumped to its seventh straight losing season in going just 3-9 with just one win in MWC play and lost its last five contests. Biggest Shoes to Fill: RB Diocemy Saint Juste set a school rushing record with 1,510 yards on the ground and ranked sixth nationally in yardage. It was his second straight 1,000 yard season. Key Player: WR John Urusa is coming off a mid-season injury. 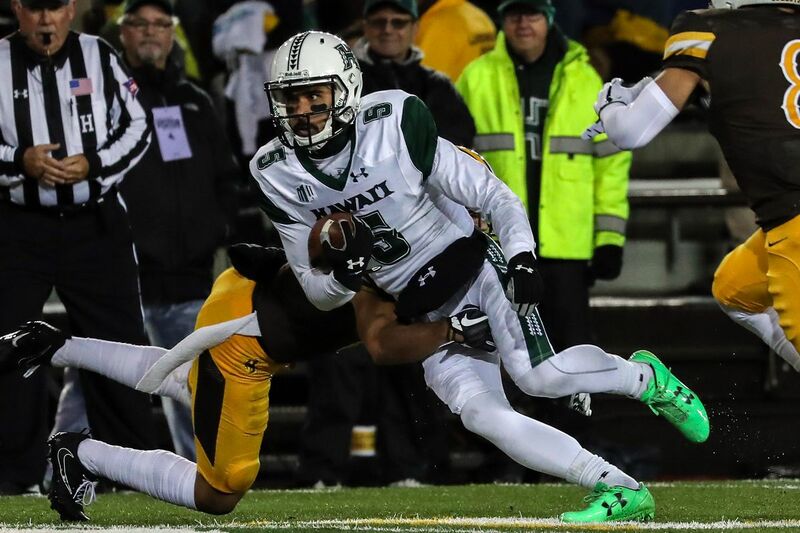 But before the injury in mid-October, he was among the nation’s leaders in receptions. 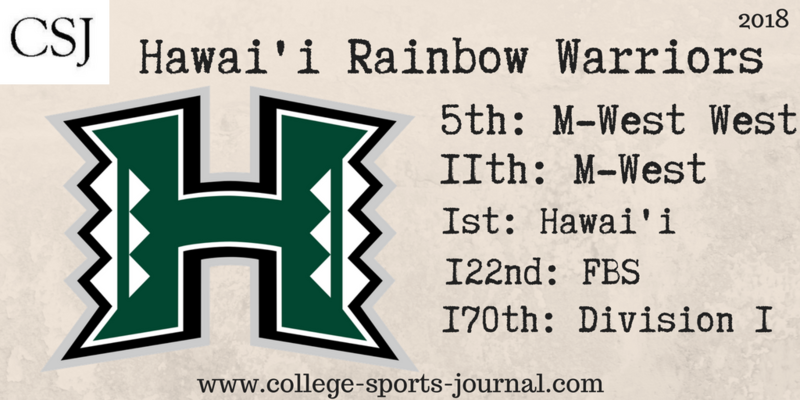 With Hawai’i moving back to the run-and-shoot type of offense, he will need to be a key part of the Warriors’ offense. Fearless Prediction: Coach Nick Rolovich changed six of his assistants in the off-season and as mentioned, the offense will be back to the run-and-shoot style. It seems like an uphill climb to expect breaking the seven year losing record streak this year with all of these changes.